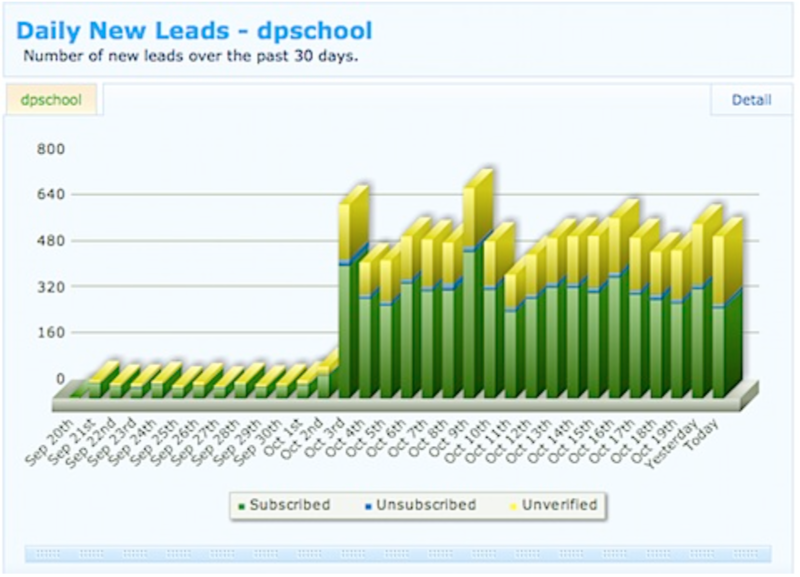 How’s your lead capture conversion rate? Are you seeing your subscriber numbers shoot through the roof, or has the flow of new subs slowed to a trickle? Either way, I’m sure you’ll want to increase your conversion rate. I know I do. Over the past few weeks I’ve been unhappy with the conversions on my own site so I thought I’d delve into a little research and look into what performs better, pop ups or squeeze pages. Everyone’s already got an opinion on pop ups, and it’s usually negative. I’m sure more than a few of you are already muttering to yourselves how off-putting and annoying pop ups are. Whilst the opinion of your audience and prospects matter, what I really want to examine are the overall results of these two methods. So let’s get into it and see how they perform. So Why does Everyone Hate Pop Ups? For many, pop ups represent everything that’s wrong with modern internet marketing. Many view them as simple money-grabbing nuisances operating in clear contradiction to the increasingly important user experience. With an in-your-face attitude and steely resolve to obtain your personal details, they’re the digital equivalent of the despised charity mugger. Both rely on intrusive methods and have the potential to turn your prospects away in droves. 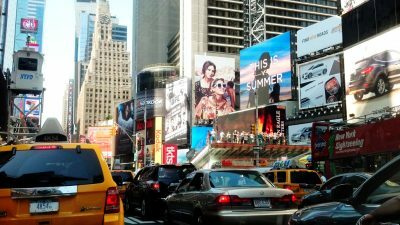 The impact of pop ups is so severe that a survey conducted by the Nielsen Norman group listed pop up ads as the number-one most hated advertising method used on the web. 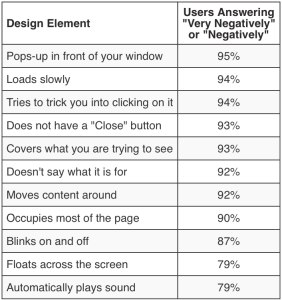 95% of those surveyed agreed that pop ups ‘very negatively’ affected their user experience, placing their ‘potential to annoy’ higher than my personal pet hate of automatic audio ads and deceitful ads that attract unnecessary clicks. Studies aren’t always representative of the real world. Instead of listening to results from a test in a controlled environment, I thought I’d seek out the opinions of regular internet browser. I headed to websites of savvy online marketers and worked my way through the comments of the common folk. Below you’ll find an example of the more vocal comments from articles on Copyhackers, KISSMetrics and Copyblogger. Ok, so the general consensus on pop ups isn’t exactly positive, but how do they change your audience’s interaction with your site? It’s not looking too good for this charity mugging-esque method. With all of these negatives, it’s fair to say we’re going to need a pretty substantial benefit to even consider implementing pop ups. Thankfully, there is one. Pop Ups Convert Like Crazy! That’s right, despite everyone’s bitching and moaning about user experience and their threats to never return, conversion rates for pop ups are high. Most websites would be ecstatic at doubling their conversion rates whilst tripling conversions—they’d be popping open that bottle of champagne they’ve been saving. So what would you say if I told you that the guys over at WP-Beginner managed a 600% increase in under a month? Incredible, right. Increasing their daily subs from between 70–80 to securing 445–470 within a month was insane. But the most surprising discovery was that the pop up didn’t increase bounce rate at all. WP-Beginner isn’t alone in seeing an impressive increase in subscriber numbers. Despite Matthew Woodward’s increase in bounce rate, he still saw an increase in conversions of 44.71% and I’m sure you’re aware of Darren Rowse’s incredible pop up conversion result. I could sit here and reel off more examples, but I think this graph from Darren Rowse really puts it all into perspective. Despite the complaints and the anecdotal evidence on how they annoy too much to convert, the numbers don’t lie. Pop ups are really a viable option in increasing your conversion rates. Perhaps the key is in their implementation, to make them as unobtrusive and user friendly as possible. What Makes Pop Ups Work? As always, the devil is in the details. 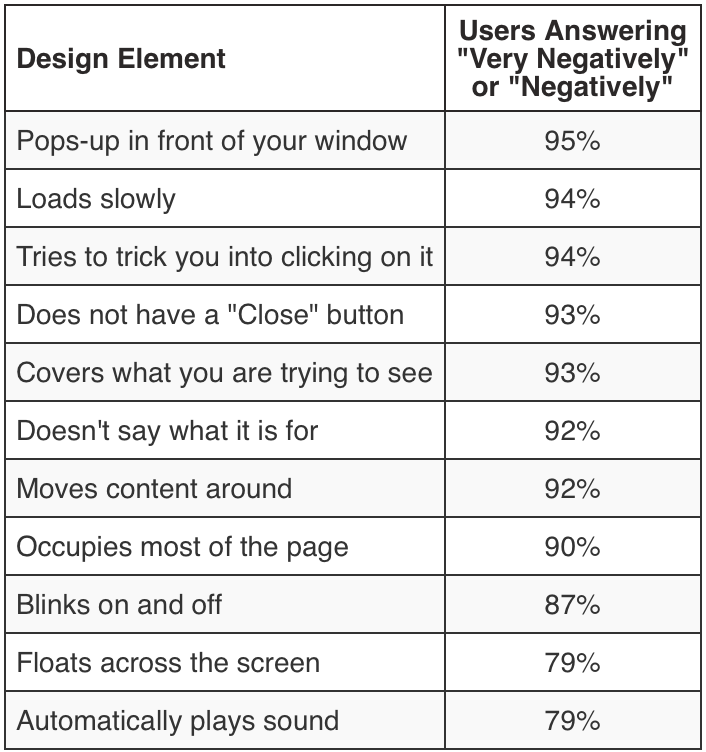 For you to find what really works on your site, you need to do some extensive testing. The aforementioned stats may drive you to immediately implement a strategy that crams your pop up down your visitors throats until they finally relent and subscribe. However, I’d seriously question the effectiveness of a list that’s been browbeaten into submission. You’ll likely end up with a list of subscribers who don’t engage and simply subscribed to put an end to your aggressive marketing tactics. User experience is more important than ever, so here are a few tips to run a more ethical and successful pop up campaign. Like the girl (or guy) who talks marriage and kids after your second date, there’s nothing more off-putting than jumping the gun. Don’t block your audience’s view of your content with an email signup form before they’ve even finished the first sentence. Asking them to join your list before they know whether they like you and what you provide is a sure-fire way to increase your bounce rate. 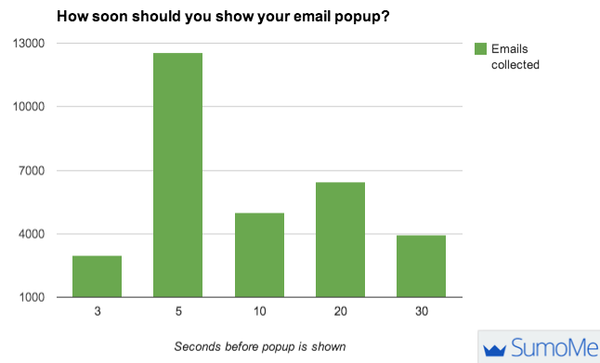 Appsumo advocates that pop ups appear within the first five seconds, but that seems a little on the fast side to me. Most readers won’t have finished your opening line in that time. A more user-friendly approach would be to give your audience between 45-60 seconds. This is ample time for your audience to get hooked by your content, whilst also being quick enough to catch skimmers before they leave. There’s a definite temptation to frequently hit your audience with pop ups. The more opportunities they have to subscribe, the more likely they will, right? Wrong. The only thing worse than being asked about marriage on your second date is to be asked 10 times within an hour. Keep your pop ups limited to one appearance per user visit or risk becoming the desperate lonely guy who has no boundaries. You’ve probably been on sites that have a small pop up in the corner, whereas others will take up the whole page. Both will likely increase your conversions—but which is better? Distraction can be a killer when it comes to conversions, which is why simple, focused landing pages are so successful. When it comes to your pop up, make it large enough to cut out any other distractions on the page and keep the content simple. Alternatively use a service that dims background content so the pop up gets your reader’s attention. In the interest of user experience, you need to make your input forms easy to complete and your pop up easy to close. Only ask for the basic information you need, usually no more than a name and an email address. You’re not going to be able to convince every prospect to subscribe so be sure to make the ‘x’ or ‘no thanks’ button clearly visible. If they’ve already decided to not sign up, making it difficult to close the pop up only serves to lose you a return user. As with anything in the world of CRO, keep an eye on how your forms are performing. Tweak both the small and the large and run some A/B tests to see what you can do to squeeze that little bit more out of your pop ups. How Do Squeeze Pages Compare? The singular aim of the squeeze page is to capture email addresses. Because they’re so focused, they’ve got to be one of the best methods of capturing email addresses, right? Well, yes and no. Squeeze pages do a lot of things well. Due to their less imposing and intrusive approach, you’re unlikely to hear anyone complain that a squeeze page has ruined their browsing experience. The real question is whether the less intrusive and ethically safer option can convert anywhere near the level of pop ups. Brian Dean implemented five techniques and increases his conversions by 134.85%. One of these techniques was to turn his About page into a squeeze page. 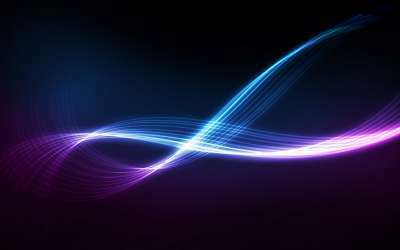 This approach brought four times the amount of conversions than any of the other pages or methods on his site. Backlinko saw a 21.7% increase after the introduction of a social squeeze page. Enabling comments social shares added social proof into the equation, increasing the overall trust levels and, ergo, their conversions. When prospects see dozens of tweets, Facebook likes and comments, they’re less likely to believe you’re one of those sleazy marketers they’re trying so hard to avoid. So squeeze pages seem to be pretty decent at converting. They don’t have the intrusive nature inherent with pop ups, meaning they’re unlikely to cause an outcry after frustrating your audience. Despite being more user friendly, however, squeeze pages fall short when it comes to their visibility. Here’s why: Squeeze pages have to be navigated to for them to be seen. The traffic you drive to specific pages or posts through social media are going to bypass your squeeze page, lowering the page’s effectiveness. Some marketers try to combat this by adding redirects or forcing their squeeze page to appear for every new user, despite the page they visit (effectively creating a pop up!). With this strategy, you’re not giving your audience an easily closed lightbox overlay on the content they wanted to read but actually forcing them to navigate through a page they never wanted to see in the first place. 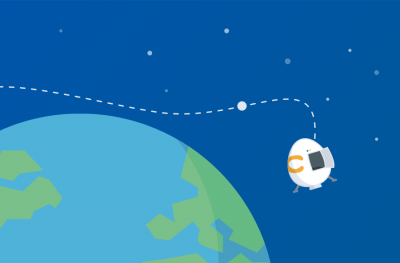 In making them take this detour, you’re more likely see a huge increase in your bounce rate. 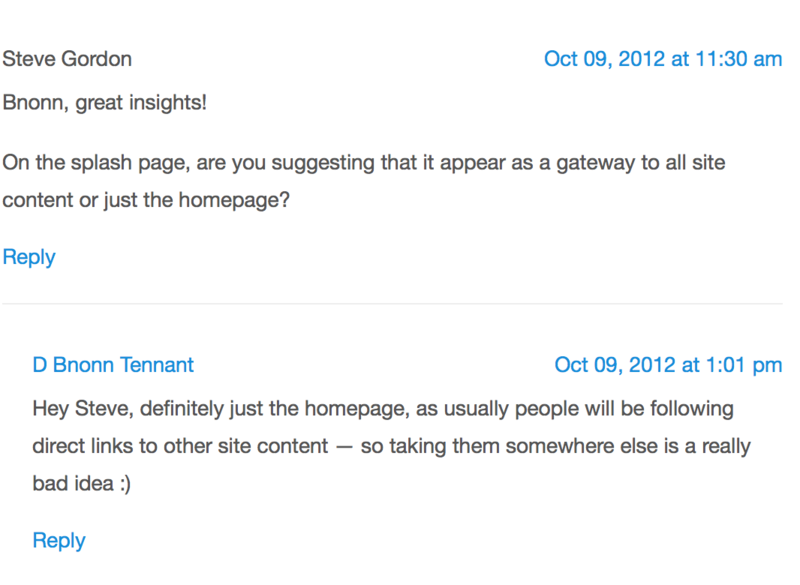 Bnonn Tennant, creator of the email micro-course “5 Sales-Spiking Website Tweaks Web Designers & IM Gurus Don’t Know,” drives the point home in the comment section of a piece written for KISSmetrics. A more elegant method to combat the lack of visibility would be to implement the Backlinko social squeeze page. Letting those already converted share the page via social media should drive a little more traffic, and more subscriptions as well. With the squeeze page’s lower visibility, you’re going to want to make sure it’s as perfectly optimized as can be. Here are a few tips to get you started. Remember those horrible squeeze and landing pages of the past? The ones that are plastered with red text and yellow highlighter, and are so busy you’re not quite sure where your attention is supposed to be? They don’t work any more. Instead, opt for a simple page that clearly highlights the main benefit of signing up to your list. Check out the squeeze page from CrazyEgg. It’s beautifully simple. The only copy on the page lets the prospect know exactly what they’re going to get. Squeeze pages are often the gateway to the homepage of your site. Holding your prospects ransom by not offering a ‘no thanks’ or ‘continue without signing up’ button isn’t going to help conversions. No one wants to look for five minutes to get off a page they don’t want to be on. The only metric you’ll be increasing is your bounce rate. Tom Ewer, of Leaving Work Behind, created a squeeze page that implements the former two points well. Right below the email address is a visible link taking those who don’t want to sign up straight to the blog. He’s also included a testimonial from an authority figure in his niche Social proof to the max! Do we really need to cover this again? Yes, you need to test! Who Wins – You Decide! Both methods have their benefits and shortfalls. You’ll have to look at your audience and your goals to make the final decision on which approach is right for you. If you can’t decide which to try, there’s nothing to stop you from trying both methods or even fully implementing them at the same time as they do here on Crazy Egg. Bear in mind that user experience is top priority. Be sure to optimize your chosen method to reduce your prospects’ frustration.